Caution: Pregnant or lactating women are advised to consume Herbal Products under advise of the physician. Bacopa Monnieri is commonly known by the name of Brahmi. Bacopa offered by us contains Saponins up to 60%. This natural herb is widely used as memory booster. 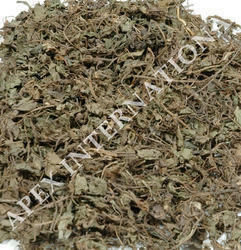 We are called upon as one of the leading Bacopa Monnieri Extract Manufacturers from India. It is used as a hair application to make hair shiny and their beautification. It also removes dandruff and lice in hair. We supply best quality with best price as per buyer expectation and whatever quantity do buyer required. We are looking for export inquiry only. It is used in Ayurvedic system of medicine as a nerve tonic to promote mental health, improve memory and intellect and to promote youthful vitality and longevity. AayurMed cultivates, sources, supplies and export Bacopa Monnieri (Brahmi) for last 30 years across the globe. 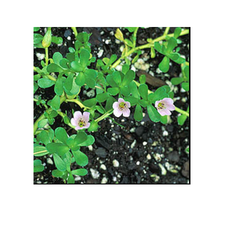 Our Bacopa Monnieri (Brahmi)is used for various medical and cosmatics purpose. Assisted by our pharmaceutical and medical expertise, we are offering an excellent quality Bacopa monnieri 1X. Additionally, the product offered by us can be purchased by our clients at market leading prices. - Habitat : Grows in marshy places and cultivated south india. Bacopa- 10-40% These products can be obtained in good quality. Clients can procure the product in market leading prices.